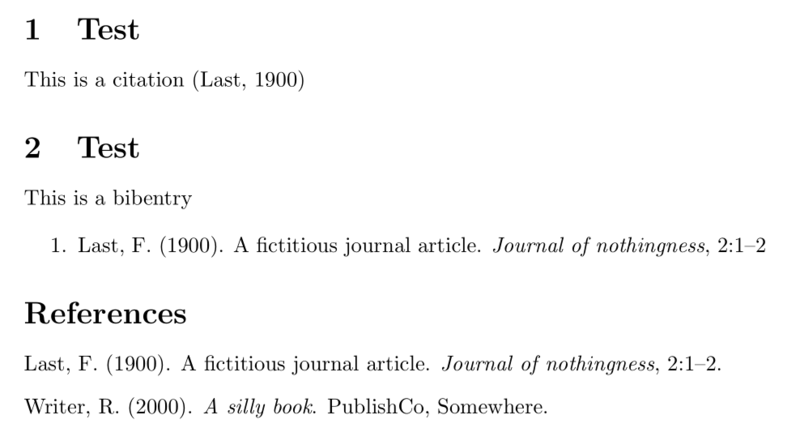 I want to be able to use the characteristics of bibentry (i.e., I want to print the full citation inside my document and at the same time I want to have a bibliography with all the elements of my .bib file (it's easier to just see the question I pointed above). The thing is that the answer provided is using biblatex. I don't need much convincing to switch to it, but for several reasons (mainly "political") I have to use natbib. Not the answer you're looking for? Browse other questions tagged bibtex natbib texniccenter bibentry or ask your own question. Is “year” required for “@online” natbib entry?